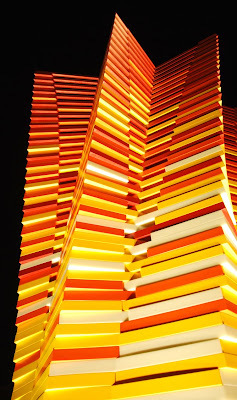 Transformed Flower is a beautiful combination of art and architecture by Phillip K. Smith, III of the Indio-based design studio, The Art Office. 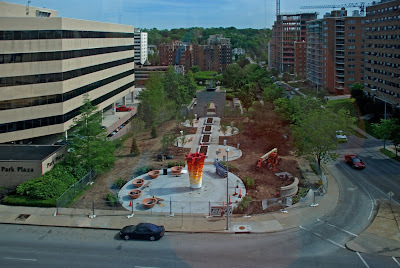 The artwork which was installed in May, 2008 looks colorful and interesting as the sculpture rises from a circle at the base to an eight pointed star at the top. 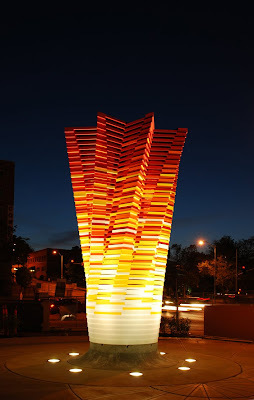 "The color and form of the sculpture transform from the bottom to the top, from translucent to brilliant red and from a circle to an 8-pointed star. 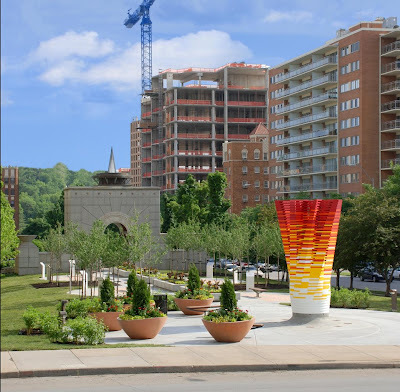 Like flowers and plants twisting towards the sun, the sculpture itself makes a 45 degree turn from the bottom to the top, twisting and opening towards its own source of hope and inspiration allowing a greater play of light and shadow on and within the piece." 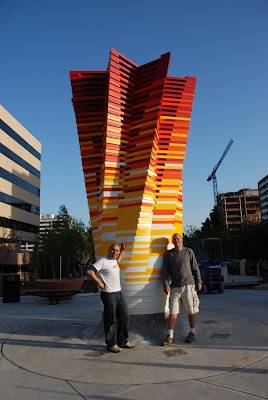 The lower half of "Transformed Flower" was built in the studio of The Art Office in Indio, CA and later transported to the site. 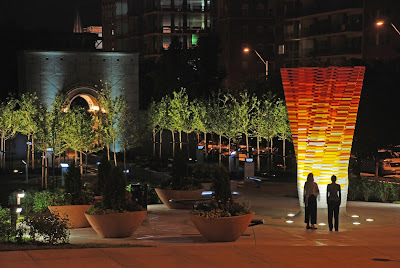 And what makes it more interesting is the fantastic light work, which makes the sculpture to look more beautiful at night. A $6 Million Home Theater - Kipnis Studio Standard. Innovative & Interesting Way To Promote A Product.